The jigsaw puzzles are not pre-built or pre-packed but “Made to Order”. The unique gift idea is to let you have the Personalized Jigsaw Photo Puzzle you would like. You are able to choose the photo to be used and selecting the size and different types of puzzles. 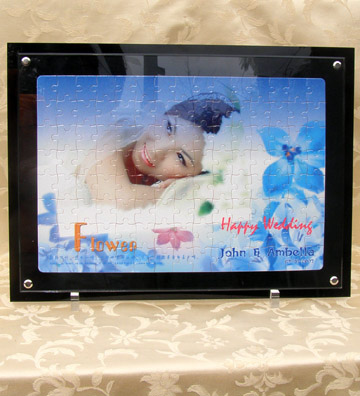 For A4 and A5, you can choose one of our puzzle frames which are STYLISH ACRYLIC FRAME or CLASSIC WOODEN FRAME to frame your personalized photo puzzle. All item will be ready 5-7 business days after design and payment done. Please kindly provide your contact details as i am quite interested to do a personalised puzzle. (Need to give it away by end of the month) Lol. Hi Mal and Joanne, I have send you the details to your email. Thanks. 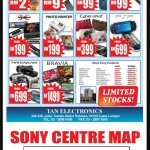 I am interested with this product, I have posted my query at lowyat forum, please reply me asap. Hi Thanks, got your request and payment will be delivered after CNY hols. Thanks and Happy Chinese New Year! Hey man im interested in printing a A4 sparkly one. Can you fill me in with the details? tq..
Hi Rudy, what details do you need? Hi Mary, I sent you email but it bounced back. What details that you want to know? Hi! I’m interested in making one urgently. Kindly email me the details/ contact no. 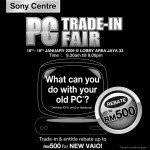 Hi Aznita, have email you the details, pls reply me. Thanks. Hi Louis, pls check your email for details. Could you give me your contact number so that I can discuss with u on the requirement? Sent the details thru email. Please check your email for more details. Hi, i’m interested. Please email me the details, thanks. hi,i am interested in this..
Have sent you an email. Please check. Hi, am interested in the personalized puzzle! And also how is the magnet puzzle? is it just the frame tht is magnetic? Please check your email. Thanks. hie i would love to make one for my mum’s bday. Do you do photo collage?? i might want a A4 glow in the dark + photo & text. Pls do provide me with more details. hi i am interested in making one but is it possible to get it done and sent before 21st of sept? Pls do sent me the details. 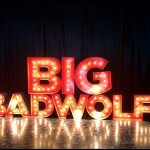 i am interested in A4 glow in the dark with photo and text. do u do photo collage as well?? 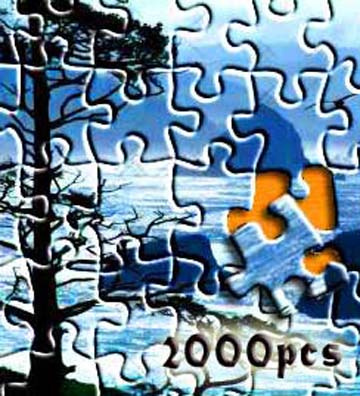 I’m interested in the A1 customized Puzzle (1000pcs). Can you please send me the details for it? Thanks. 42cm X 59.4cm, Now only at RM 89.00. may i know what required by u and how may i pass the picture and payment to you? I have sent the details to you email. Thanks. hi, may know your contact details? because next month will be my grandparents’ 50th wedding anniversary…and i need to post to them who are currently staying in New Zealand. I have sent you the details. Thanks. Could you please email me the details? I’m interested in making a personalised puzzle and have it done by the end of November. can u kindly email me with the details.. i need it urgently! thanks!!!! Im interested to buy the frame, but i want bigger than A4 size, please do let me know if you can customized a bigger puzzle frame. hope to hear from you very soon! sorry nope, the biggest frame is A4. you could get it anywhere for the bigger frame. hey just want to get some information. how long will it take to finish? I’m interested to order for the A2 size. Is it possible to get it done and delivered by Christmas? Kindly email me your details. Hi Alyan, Please check your email. Thanks. Hi. I’m interested in the A4 and A5 sparkling ones. Can you send the the details? Thanks. hi jac, email sent. Thanks. Hi, i’m interested. can give me ur email and how is the procedure to order from you? hi tommy, pls check your email for details. Thanks. Hello 🙂 I’m interested to get one…but not sure which size to get…stylish acrylic frame is the one shown in the photo which is black? can you please send me more details? Thank you! i’m interested in making one personalized puzzle for my dad. can u email me the details and your contact number? i need the puzzle asap as his birthday would be one week before the chinese new year. Hi gp, pls check your email. Thanks. Do you still accept order for the personalized puzzle? If i make payment by this 2 days, by latest when i can receive the item? I’m planning to have a personalised puzzle for anniversary. Could you please send me further details? Email sent. Please check and revert. Thanks. hye there.im very interested to order one. pls email me all the details about how to order n other stuff.tx! hi dayla, pls check your email. im interested to order 1000piece de..pls email me ur contact number and all detail tq very very much..im out of time! Hi, i’m interested. could you send me more details? hi.im interested for this. But im urgent for that. Can pls email me ASAP all the details about how to order.thanks! Hi aizasophia, please check your email. Thanks. i wish to collect by 31 May. I am staying in Penang, is it possible? And pls send me more details on the magnetic one as well.. I dont really get how it works..
hi Ken, did you get my email? but isit possible if i can it by this friday? hi fuzi, for A3 and above need 7 business days. hi felicia, did you get my email? Hi debra, yes still selling as always. Interested with your product. Can you give me more information please. Could you send me the details ? I have sent you the details. Please reply to my email. Thanks. Im interested. Still available? Can provide location and contact? Yes still available and only thru online. Do email me your design and after design confirmation I will send you the payment details. Thanks. I am interested in doing a A3 Puzzle (300pcs) + Photo & Text [29.7cm X 42cm] and is that possible that I can get this by 7 October 2010? Please kindly provide me any further details. Hope to hear from you soon. Thanks! Hi aiting, please check your email. Thanks. Yes, I’m still doing it. You have your design ready? Once the design confirmation, then I will send you the payment details. Hi! I’m interested in making one urgently. Can you customize 5000 pcs? Kindly email me the details/ contact no. Hi Jimmy, please check your email. Hey there, I am interested in getting one urgently too. Hi Chen and DanielCtw, please check your email. Thanks. Im interested in customizing an A4.I wud like to know wat do u mean by sparkling n magnet? Sparkling as in the puzzle pieces have sparkling dust orr…?? N magnectic,The puzzle pieces are magnectic ? n do u provide magnetic for A4 sized? Also, how wud i enable the payment n picture to u? im sorry.. i meant the A3, do u provide it in glow in the dark? hi i am interested in making one but is it A4 glow in the dark with photo and text.pls email me all the details about how to order n other stuff. 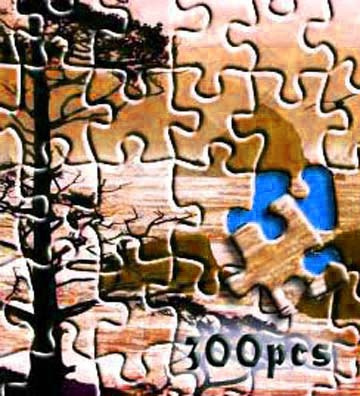 I am interested to know how in 500pcs Puzzle Can you email me the detail? Hi, I would like to check on the pricing. Thanks. 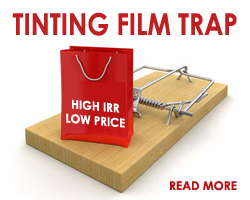 The pricing is available in this page itself. Thanks. Hello there, can you mail me your email address and contact details? thanks. By the way, how long does it takes to complete the customized puzzle? It takes around 3-5 business days for A4 and A5 puzzle, A3 and above will be around 7 business days. Hi, I’m interested in making one for valentines. Can you email me your details pls. Have sent you the details. Please get back to me asap. Thanks. hi, can u provide me your contact numbers? 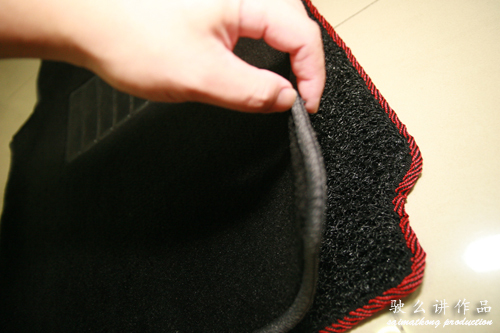 i am interesting in making 1.
hey im interested in making one as well, could i have ur details please?? hey i wanna make one too.. could u send me the details? I have sent you an email. Please reply. Thanks. Hi, i’m interested in making one. Please send me the details. I’m interested in making one, pls help on send the details for me.. Thanks! Do you have your design ready? If yes just send to my gmail. Thanks. Hi Calvin, yup Personalized and Customized Photo Puzzle is available. Hi, im interested to make one, may i know what do you mean by sparkling and magnetic?and which part will actually appear to be bright for the one glowing in the dark?the design or the face?….will you help to design and add in the text as well?pls send me more details, thanks. Sparkling is normal puzzle. Magnetic meaning there’s magnetic in the puzzle. Will only do simple design. You may ask your friend to help you design. Thanks. hi, can you pls send details to my email? Hi Apple, you can email to saimatkong [at] gmail [dot] com then will send you the payment details. Thanks. Hi,i have sent you my design, Hope to hear from you soon, Thanks. Hi saimatkong, pls check your inbox, thanks. 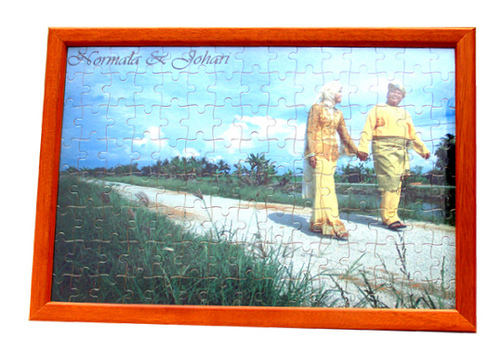 Hye.. am interested in making one of the puzzle..
do email me the details and how to order it..
Hi adila, just email your design to me and I will email you the payment method. Thanks. hi.. im interested with ur product.. plz email me for more information about it.. thkzz..
Hi Mel, Just send me your design will do. Hi,i m realy interested…i need more details…asap pls…pls mail me! Hi Kyo, emailed the details. Pls send me detail for A4 and A5.. I have emailed you the details. Hi I am really interested and I actually already have the picture design and ready, I want the a4 size. Please mail me on the details of sending the photo and payment method. Just email me the photo to my email will do then I will send you the payment details. Thanks. I’m interested in A4 and A3 puzzles, kindly send me the details. Is it possible to add more pcs besides your standard ones? Thanks for your reply. What details do you need? You can put any amount of pictures and any design. Just send me your design to my gmail and I will reply you with the payment details. Thanks. can i request to do a puzzle A4 size, but with only about 50 pieces puzzle…I wana gift for friends but she do not have patient to finish alot puzzle…can this be done by making each 50 pieces puzzle bigger so can make up of A4 size? What’s bout the prize? Sorry we can’t cater for the size, it’s fixed as there’s machine to cut it and use the only mold to cut. hi. email me more details. I have email you the details. hey I need to make one urgently. Can I get it done in a day if I want either A5 or A4? Please let me know. Thanks.. It will takes 3-5 business days after the design and payment confirmation. Pls email me the details. Want to order A2 size. 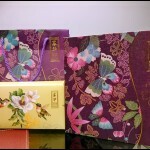 hi, am interested to get one done by end of January 2012, please email me the contact details and how to order. Just get your design done and send to my gmail will do. Thanks. I would like to purchase a few A2 sized puzzles, how fast can I get it? And is it possible if I want it to be in 10 pieces only? Within 2 weeks (around 7 business days). Not possible to be in 10 pieces only. Contact me via my gmail when you have your design ready. Hi I would like to order a personalised jigsaw puzzle. How much is it for a4 size? It’s RM40 + RM7 for West Malaysia / RM15 for East Malaysia. Please email your design to my gmail. Thanks. how much it cost for puzzle frame only. A1 size. please email me. tQ. I don’t have frame for A1 as it’s too big to be shipped. You may get it outside easily. 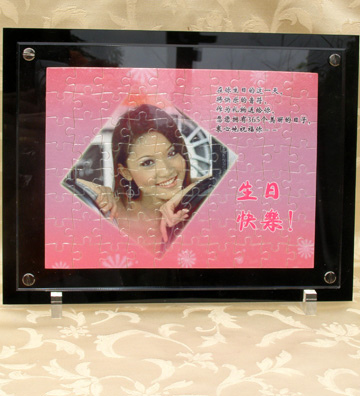 If you want the customized puzzle then please email me your photo. We don’t have customized 70 pieces. It’s 300 pcs is that okay with you? for this two items, did u provide with frame? The price is add on and the price is as stated. Now only available wooden frame. Thanks. Hi I’m wondering how thick is the puzzle? It’s the same thickness as normal standard puzzle. Just prepare ur design and email to my gmail and I will send you the payment details. Thanks. Just send me your design to my gmail and I will send you the payment details. Thanks. Please send me your design to my gmail and I will reply with payment details. Thanks. Please send me your design to my gmail. Yes can be ready within 3-5 working days after you made your payment. Thanks. Hi,can you give me your phone number to get some information ? You can email me your queries. Thanks. do you have 5000 piece 4 the puzzle?
. I’m need 25 sets a3 puzzle with same image. File ready and just need you to proceed. How fast can you do it. I have responded to you via SMS. Please get back to my if you are interested on the puzzle. Thanks. hye , this item still available ?? Yup still available. Do send me your design to my gmail. Thanks. the customised puzzle for 1000pcs still available? hi, i want to order the 1000piece one.. can you tell me how to order and pay please? please email me as soon as possible.. Does it come with frame? Hey. im interested in a5 glow 80 pcs. Can u email me the details. Is ur service still available? Hi Nisha, yup still available. 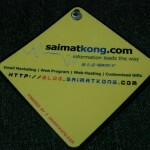 Please send me your design to saimatkong “@” gmail dot com and I will send you the payment details. Thanks. hi, i am interested on customized photo puzzle. can you give me more details and need the product ready to my here before next friday. is it ok? I need to do a custom jigsaw puzzle,, provide me your contact number. HI. i want to make photo puzzle with words. can u send me the details? Yes – I’ve sent you the details via email.